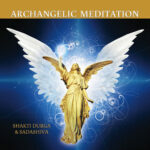 Open the gates to heaven and let the warm voice of Shakti Durga, backed by the music of award winning composer Sadashiva, guide you to release energy blocks within your chakras to Ignite Your Spirit. Om Your Chakras meditation uses the ancient sound of Om to release energy blocks held within your chakras. This powerful guided meditation will release negativity and help you to create calmness, inner peace, healthy self-esteem and true empowerment through self-realisation. Om Your Chakras Meditation cleanses, purifies and balances your entire chakra system, releasing negative thoughts and vibrations that hold you back from happiness and peace. An in-depth exploration of the healing power of the Chakras can be found in Shakti Durga’s book and seminar Ignite Your Spirit.